U.S. Department of Agriculture to require that canned tuna purchased for the National School Lunch Program have kosher certification. 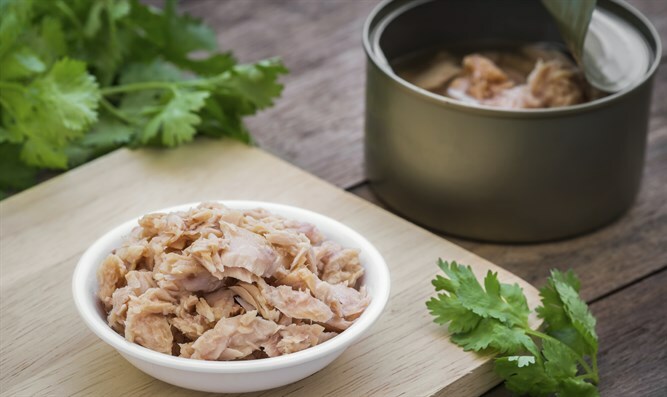 The U.S. Department of Agriculture will now require that canned tuna purchased for the National School Lunch Program have kosher certification. Agudath Israel of America, an Orthodox Jewish organization, in a statement this week praised the USDA for the change and "for its efforts to meet the needs of school districts serving kosher-observant students." Agudah said it has been in consultation with the agency over the last several months to explore ways to better serve the kosher-observant students who participate in the federal program. The organization pointed out that Jewish school children have participated in the program for decades and that under an agreement with the USDA, the New York Board of Jewish Education has purchased and provided the kosher food items for participating schools. An increasing number of schools outside the New York area whose students require a kosher diet are participating in the program, Agudah noted, but have been unable to fully participate due to the lack of kosher choices. "These efforts will be of great potential benefit to our schools and families," said Rabbi Abba Cohen, Agudah's Washington director. "It is impressive how sensitive the USDA has been to these concerns and how quickly they are moving on addressing them." Cohen said Agudah and the USDA will be working together in the coming months to smooth out various technical issues and to explore ways to incorporate other protein-rich kosher foods into the program. The program, which was established in 1946, provides low-cost or free lunches to children in public and nonprofit private schools and residential child care institutions depending on economic eligibility.